Nothing rocked technology-oriented news junkies this year quite like the announcement that Google Reader will be shuttering its popular but apparently too-niche-to-continue product in July. After measuring that emotional response, many, including those orchestrating the second coming of social news pioneer Digg, saw an opportunity. We’ve already seen apps like Feedly, Pulse, and NewsBlur gain a whole bunch of new followers as a result of the news, but there’s still one more app we’ll be waiting to try before picking what RSS camp to join in July: Digg’s news reader, scheduled to launch in late June. Digg executives haven’t said a lot about the product, but they shared a few details with me in a recent interview. While Digg went into a steep decline in recent years that was evident as early as 2009, the NYC-based incubator Betaworks has brought the site back to life in recent months since acquiring the site last July. Digg announced just after the Google Reader announcement that it too would be launching a competitive service, and considering the team’s success in taking the previously defunct social news site and making it relevant again, there’s a good chance that its RSS reader could be a win as well. I recently sat down in the large, airy Betaworks office in the heart of the Meatpacking District in New York, where the walls are covered in paper lists and small groups were holding brainstorm sessions all over the high-ceilinged space. Programmers and designers sat around the three rooms at different tables, which were organized by company, from Digg to Dots to Instapaper (some of which were just a few people.) When I visited, CEO John Borthwick was busy explaining what Betaworks is all about to a group of visitors through the Open.Co visitor program, and there was Chinese food on the counter from a group lunch. It felt like a more energetic, collaborative version of any co-working space I’ve visited in San Francisco. I sat down with Jake Levine, formerly of News.me and now the general manager for Digg, and Andrew McLaughlin, the SVP of Betaworks and CEO of Digg, who was formerly a VP at Tumblr, Deputy CTO of the United States, and Director of Global Public Policy for Google. Levine and McLaughlin talked about the evolution of their thinking toward social news, and how the new Digg RSS reader project was a long-planned feature that is essential to Digg’s goal of creating the best social news experience on the web. Digg has been around for a while — younger users, like myself, might not remember it from its heyday, when it practically introduced the idea of social news. 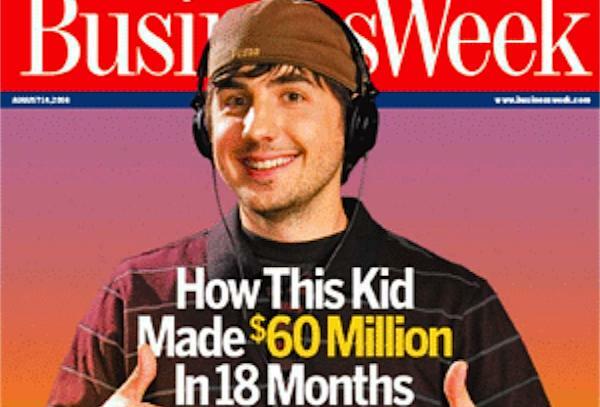 Founder Kevin Rose (now a partner at Google Ventures), was the subject of a now-infamous cover of Businessweek in the summer of 2006. Though the company later spiraled downward, caught between the rise of Facebook and Twitter, as Om wrote, it had a lasting impact on modern media. Parts of the company were sold off to different companies like The Washington Post and LinkedIn, but it was Betaworks that bought the consumer-facing site and reader base for reportedly just under $500,000 dollars in July 2012. “If there’s any company that understands the real-time nature of the web, it’ll be the people that brought us all these really cool things like bit.ly and Chartbeat,” Rose said when he reflected on the sale. Betaworks advises and invests in companies that are associated with the concept of social news. Some of its brainchildren, acquisitions and investments include Bit.ly, Chartbeat, Instapaper, SocialFlow, Dots, and Tumblr, just to name a few. CEO John Borthwick, who most recently spoke at our paidContent Live conference in April, has talked about the group’s unique approach to fostering startups, which is to launch them quickly in their early form, then killing the ones that don’t catch hold and putting people, servers and data insights behind the ones that do. So when Betaworks acquired Digg, the timing couldn’t have been better. The group was getting ready to shutter News.Me in October 2012, in part because of Twitter’s API restrictions that were becoming a burden. But the app, which provided users with the top five tweeted articles among the people they follow on Twitter, had already given Betaworks useful data from news geeks and early adopters that could help the group create consumer-facing news site for a wider audience. Levine explained that News.Me was an excellent product for the Twitter power users, and while it didn’t ultimately scale into a project that worked for everyone, the data, when combined with the stats from Chartbeat (measuring real-time publishing analytics) and Bit.ly (measuring analytics for links shared across the web), provided some interesting insights. So the team quickly put together the new Digg in a matter of a few weeks, stripping down the design to a basic grid of stories that are selected both by algorithms and human editors, and letting users perform a few basic functions like sharing and saving. It was a quick start to putting Digg back on track, but the team’s plans didn’t end there. While adding an RSS reader might seem like an odd choice for the group re-inventing social news — after all, there wasn’t much in terms of social features on the old Google Reader (Google killed the one social feature the thing had) — McLaughlin and Levine explained that in reality, adding an RSS feed was always part of the plan for Digg. Google’s announcement just accelerated it. While the two couldn’t yet reveal what Digg’s reader will look like exactly, and said it’s still in the works, slated for a June launch, they described it as two different parts to one Digg site: one part being the current homepage of socially-driven stories generated by algorithms and editors, and the other being an RSS reader of a user’s feeds, with updated features that someone following blogs in 2013 would want (save to Instapaper options, etc.) The two sections will be unified by a common design. “For now, it’s aimed at power users and we’ll see if we can nail that. It’s going to be super clean and very uncluttered. Very fast,” McLaughlin said. Users who don’t want the RSS feature and don’t create logins will still be able to visit Digg.com, so that experience won’t change for people who are happy with it. But ideally, people who care about following particular blogs and news sources will be able to get that kind of news from Digg as well. They said they’re extremely optimistic that a quality news reader could actually make money and create a sustainable business. While Digg’s reader likely won’t be a paid product at first, they said they could see subscriptions or download fees as a way to make money in the future when the product is more solidified. As of early April, about 40 percent of survey respondants said that they’d be willing to pay for the product — a remarkable number, even if only half of them are telling the truth. For those of us who obsessively check Twitter every day to find and re-tweet the latest news, it might be hard to understand the problem that Digg is trying to solve. But while we may think we have social news figured out, it’s time for a reality check: as of December 2012, only 16 percent of online adults were using Twitter, and far fewer are actually tweeting. If Digg succeeds, it could both attract the power users who care about RSS feeds and power the types of products like Google Reader, and then take that news data derived from those users to create a smarter general news site for everyone else. Pre-Twitter Digg, say hello to post-Twitter Digg. Shibulsky.com is also a unique new reader. It just launched and allows you to easily port your Google Reader feeds to their service. Unlike most other feed readers, they manage everything for you so it’s much easier. Looking forward to it. I’m trying out Noowit.com, not your conventional reader, but a whole lot more. The app is actually learning what you like and gives you more and more relevant content. Digg is doing great so far, I used this way back for a particular website. It did good and helped in a way.